You guys. You guys. I'm not ready for winter. It's too freaking cold. We had it so easy last year, and I'm definitely not ready for this Chicago winter to get really real, and I'm definitely not ready to bundle. I'm super sensitive to temperature, which means I'm always freezing until I'm suddenly way too hot and have to take off everything on my walk to the train. I mean, no, that never happens. For me, layers are key in the winter when you're going between hot and cold all day. 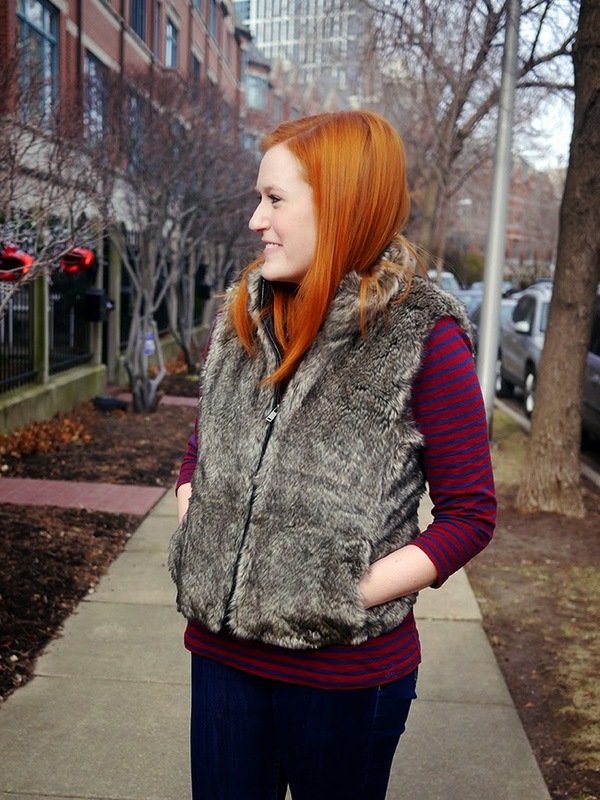 I somehow forgot that I owned this faux fur beauty until my co-worker challenged me to a vest-off, but it is freaking amazing. It's so soft and warm and cozy without being overwhelming. 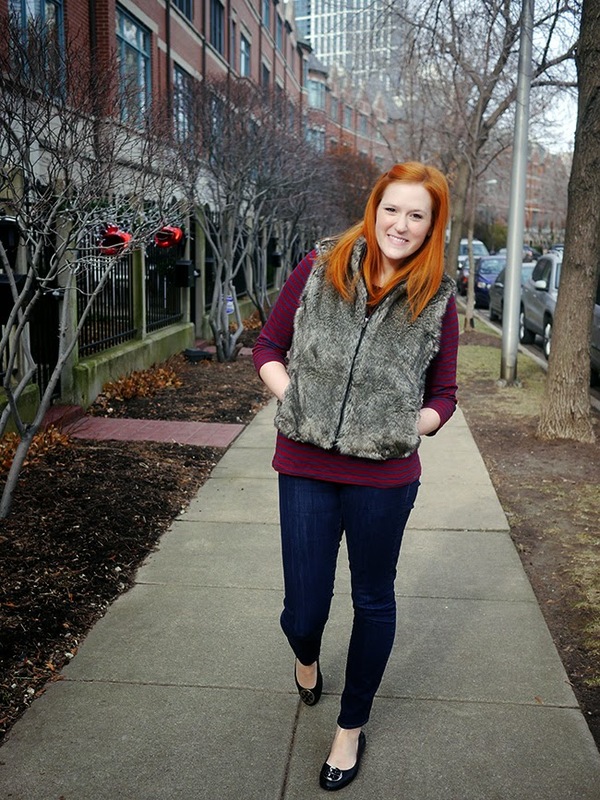 Plus, faux fur is a great way to luxe up your outfit. Win win. Linking up with Mix It Monday, Flashback Friday, What I Wore to Work.